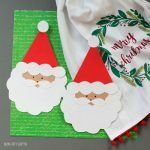 Last year my husband came across these online Christmas games that he enjoyed playing with the kids. 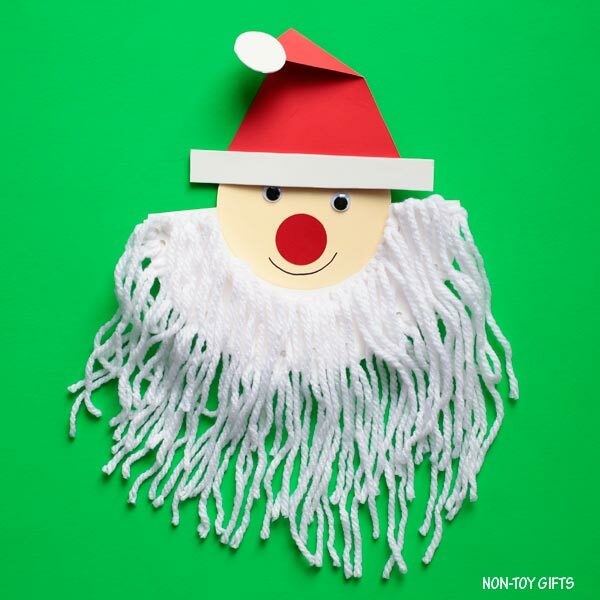 The boys’ favorite game was one where they got to trim Santa’s hair and beard. Helping Santa get bald made them giggle and laugh all the time. Inspired by the game, I created this cute Santa beard craft. 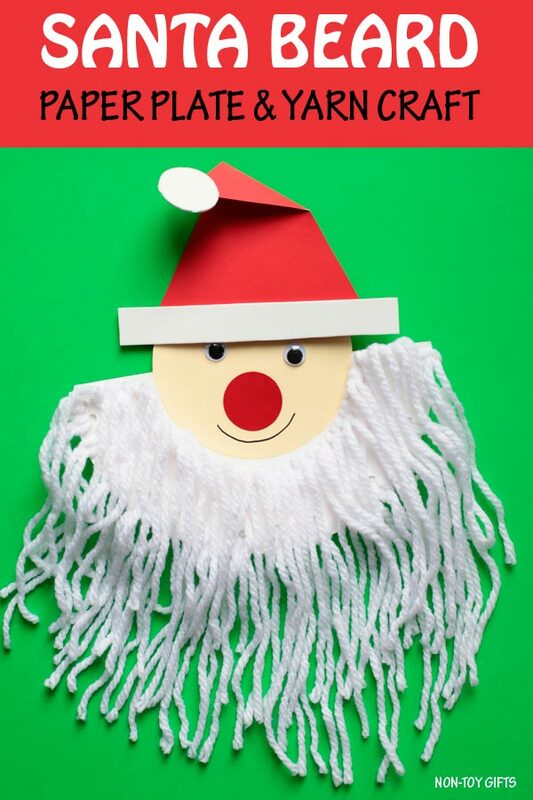 Kids can trim Santa’s beard again and again and have fun while practicing their scissors cutting skills. 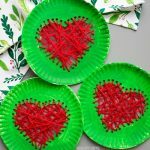 We love a good paper plate craft and we have quite often combined them with yarn crafts. 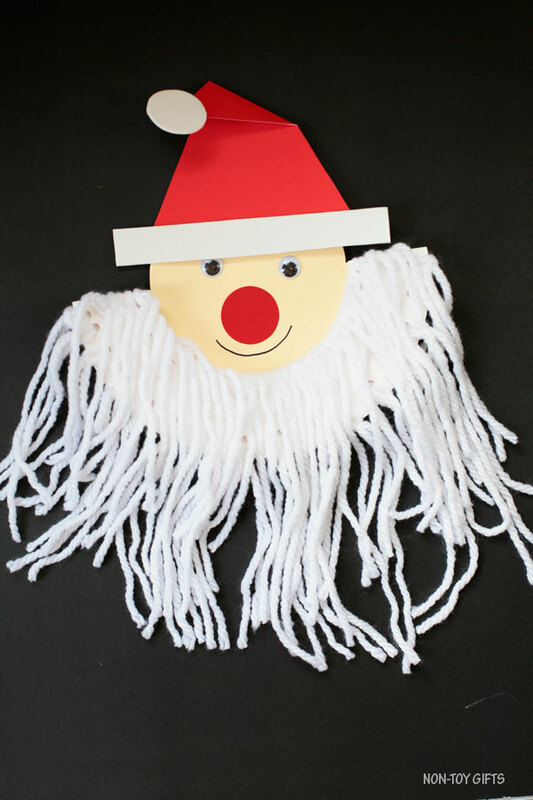 Our Christmas collection of crafts contains another Santa and Christmas tree made with a paper plate and yarn. 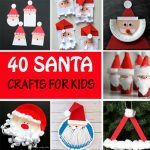 And you can find even more ideas in our collection of 100+ easy crafts for kids. 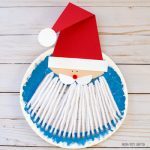 Once you are done making Santa and trimming his beard, you may want to create an elf, Rudolph or Grinch. 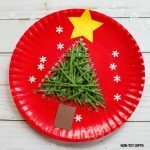 Step 1: Start by cutting half of the paper plate outer rim. Punch holes along the edges. 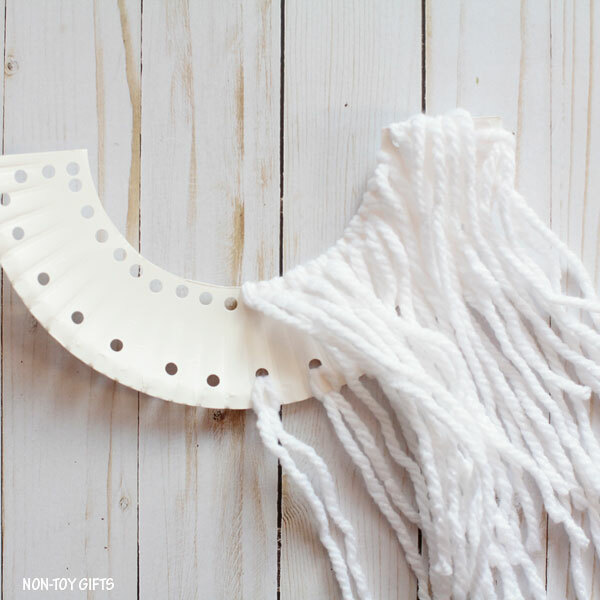 Cut big strands of white yarn, fold them in half and thread them through the holes. 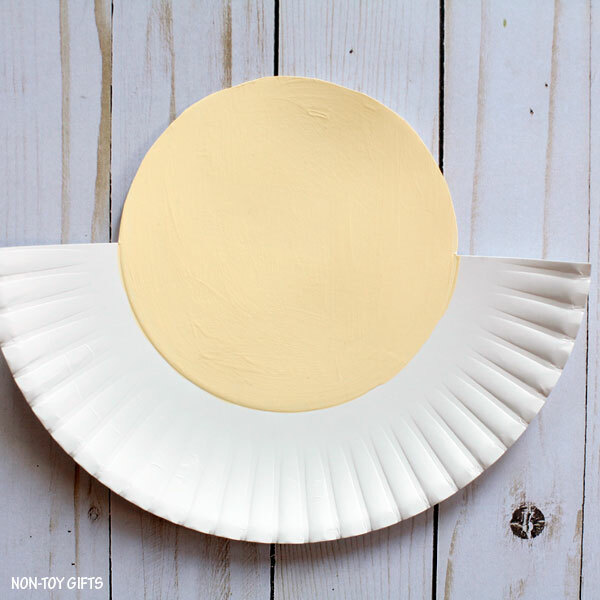 Step 2: Paint the inside circle of the paper plate with ivory paint and set it aside to dry completely. Step 3: Draw a large triangle on the red paper and cut it out. Fold down the top triangle. 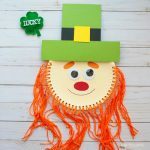 Glue a white paper circle to the top of the hat. 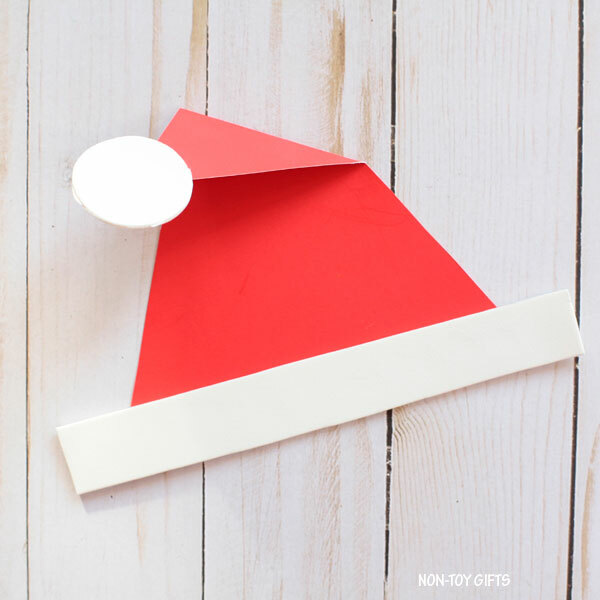 Cut a strip from white paper to glue at the bottom of the red triangle. This will be the hat brim. 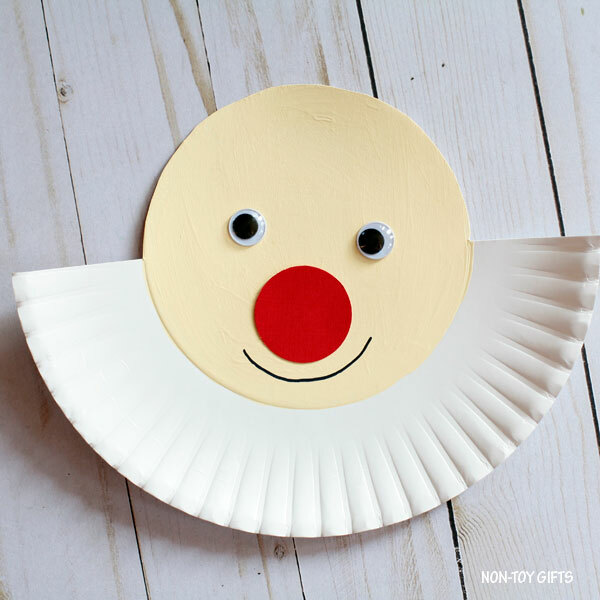 Step 4: Once the paint on the paper plate is dried, you can glue the googly eyes. 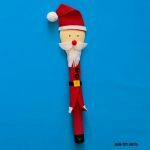 Use a circle punch to make a red circle for the nose and draw Santa’s mouth with a black marker. If you don’t have a circle punch, use a round container to draw a circle onto the red paper and cut it out. 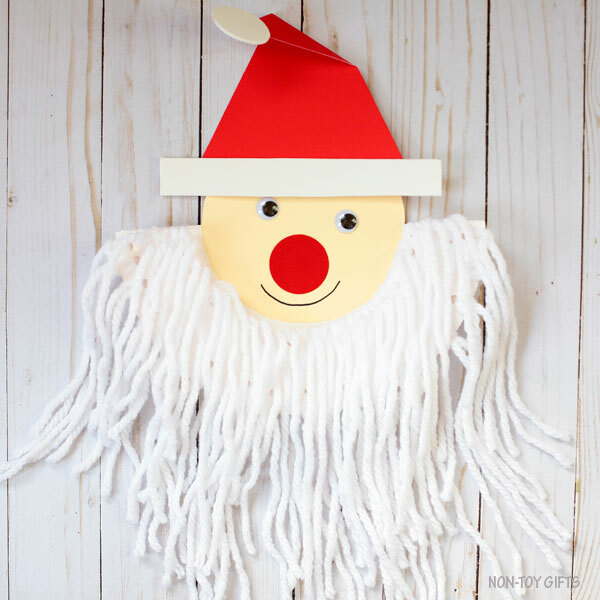 Or you can paint the nose with red acrylic paint. 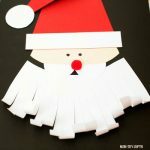 Step 5: Now we can assemble Santa together by gluing his hat and beard onto the paper plate. Step 4: Once the paint on the paper plate is dried, you can glue the googly eyes. 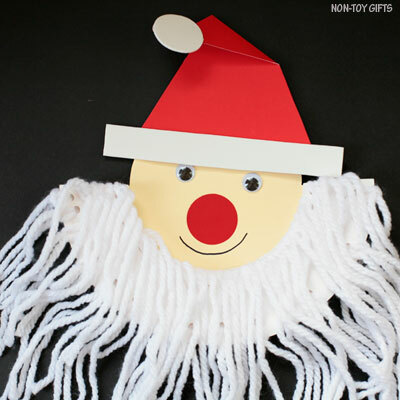 Use a circle punch to make a red circle for the nose and draw Santa's mouth with a black marker. If you don't have a circle punch, use a round container to draw a circle onto the red paper and cut it out. Or you can paint the nose with red acrylic paint.